Book of Demons wins its first awards! 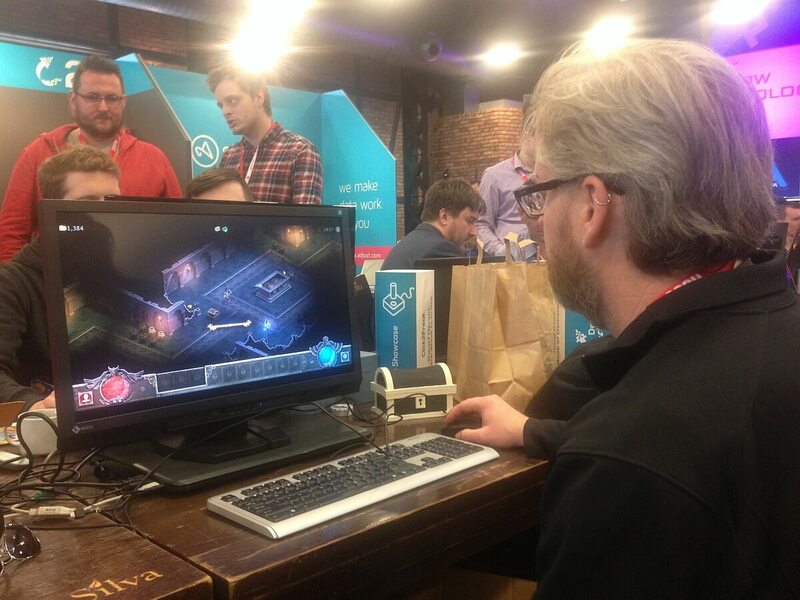 A little over a week ago we went to Digital Dragons to take part in the Indie Showcase competition and to showcase a playable version of Book of Demons for the very first time. And guess what?! 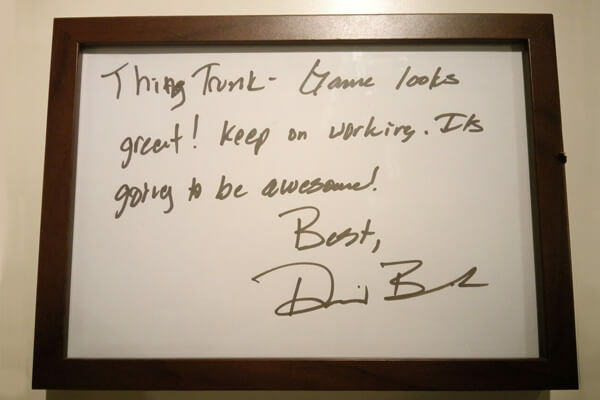 We won an award and got feedback from people like Chris Avellone and David Brevik, the original co-founder of Blizzard and designer of Diablo! As you can imagine, this was a very big deal for us. 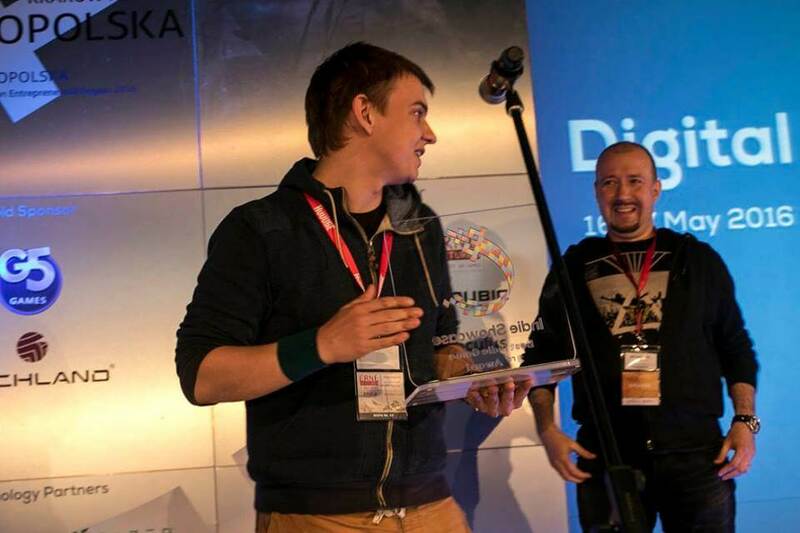 Digital Dragons Best Indie Game 3rd award goes to Book of Demons! Hey there! My name’s Tom, I’m “the new guy at Thing Trunk” and some may remember me from MouseCraft, a small but quite prominent puzzle game I was responsible for. 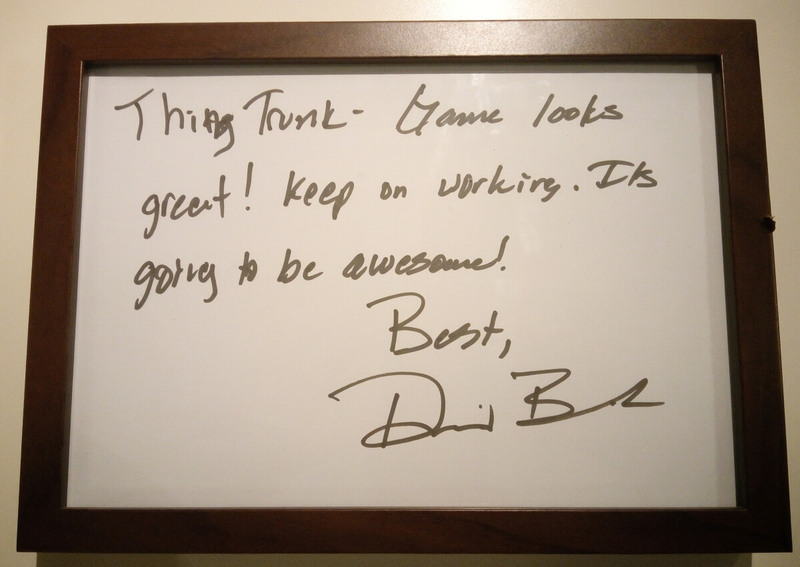 At Thing Trunk I’m taking care of PR, marketing, business development and basically anything that requires interaction with other human beings. Like for example visiting gaming conferences and events. 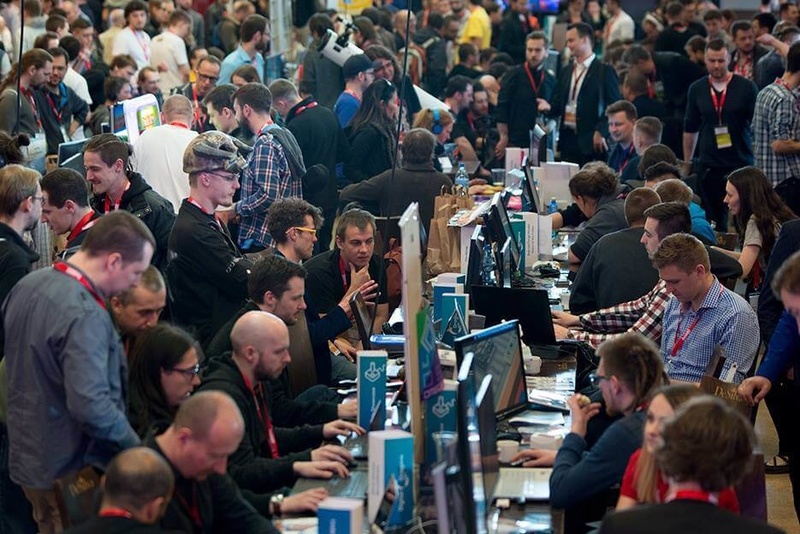 Digital Dragons is one of the biggest gaming conferences in East-Central Europe and it’s getting more and more important every year. 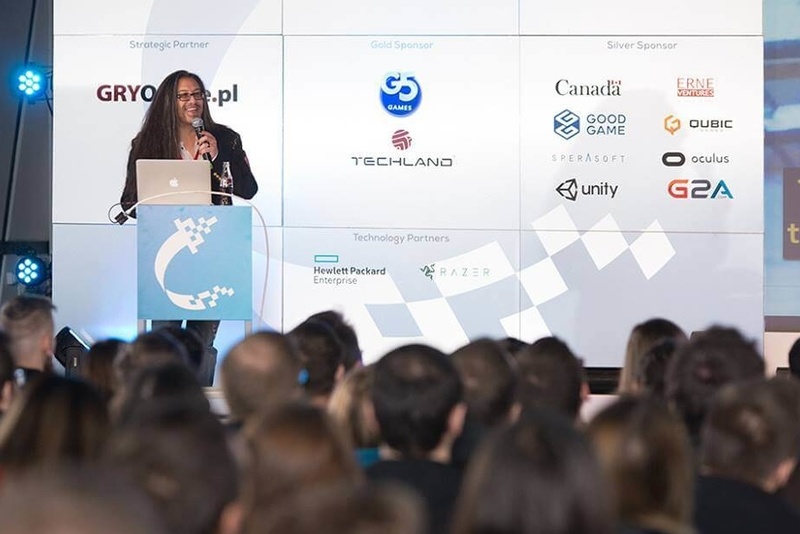 Previous editions of the event were already visited by some well-known game development personalities like Brian Fargo, but this time the “cast” was absolutely stellar – the speakers line-up included John Romero, Chris Avellone, Ed Fries and David Brevik. 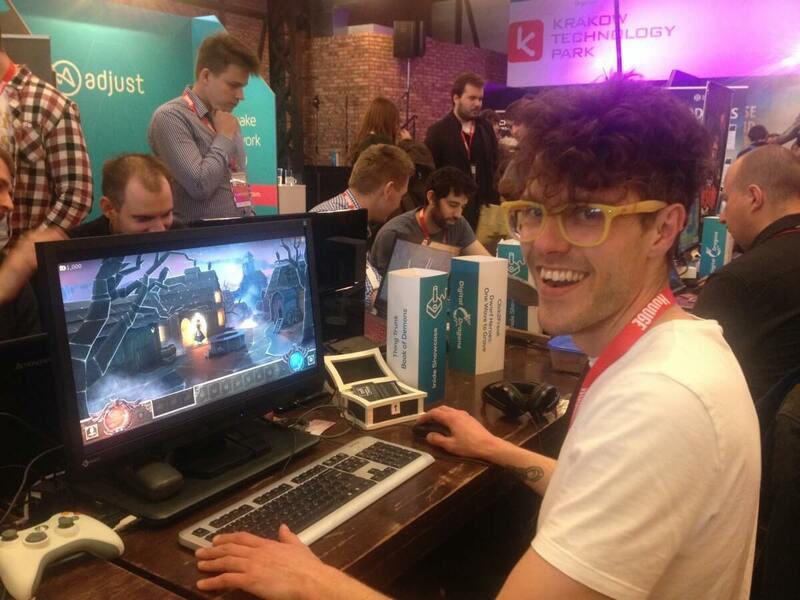 This year’s Indie Showcase was huge – there were nearly 70 projects playable at the showfloor! 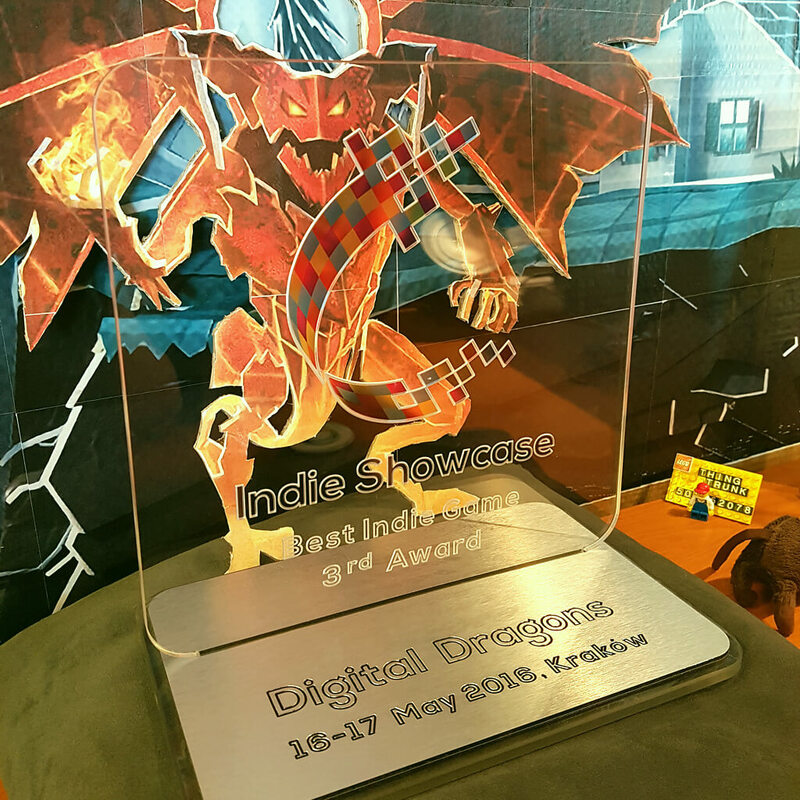 Apart from speeches, workshops and discussion panels, Digital Dragons is also a neat place for indies. Every year there’s an Indie Showcase competition and this year’s contest was supposed to be huge – $2500 prize for the winner, tons of valuable gifts and 67 contestants, including already well-known titles like Bound, Seven: The Days Long Gone and Crush Your Enemies. Because the release of Book of Demons is getting closer every day, we decided to take part in it and publicly show our game for the very first time. Our aim for the event was pretty straightforward – get feedback and get noticed by other developers, media, and the competition’s jury. The first part was pretty easy – we just needed to turn on the game, watch how others play, and take notes. The second goal was a bit more tricky, but thanks to the event’s Pitch and Match system I was able to secure meetings with all the members of the jury, media and even some of the stars of the conference! 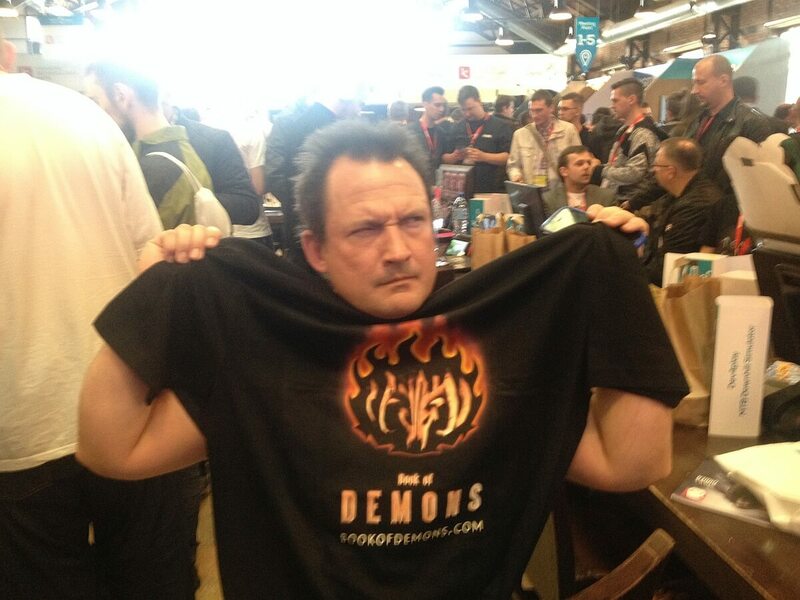 Even Chris Avellone, the legend of the RPG genre, visited our stand! 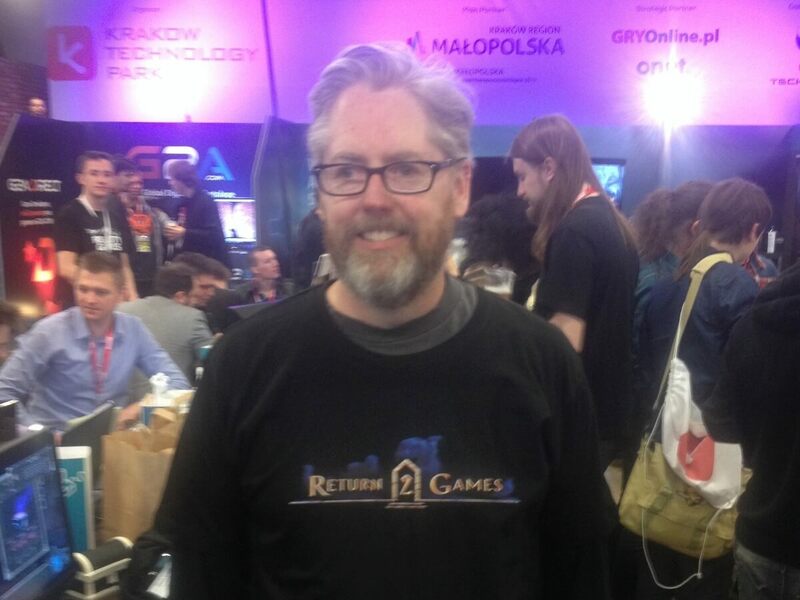 Robert Purchese from Eurogamer.net approves! Ok, what about the award? It wasn’t any different in our case – I remember I wanted to stress out that it’s the dev team who earned the prize, but after saying that Book of Demons is in development for about 3 years, and I just joined the team the entire audience burst out laughing and I followed. There was absolutely no chance I could finish what I had to say :). It was a positive and really funny experience – I just hope my message came through and everyone understood what I meant :). – We definitely need to get a better camera, because our photos are crap :). – We’re planning to visit Gamescom and PAX West. These trips are pretty expensive, but hopefully we’ll be able to go there thanks to Indie Games Polska foundation. Keep your fingers crossed! I guess that’s all for now – see you at Pixel Heaven, and maybe at Gamescom and PAX!